You go for a movie with the BFF, you order a bunch of nachos and hotdogs and munch away. Pretty normal for a movie date… unless you’re trying to maintain a healthy lifestyle. That extra load of calories doesn’t exactly spell beach bod. 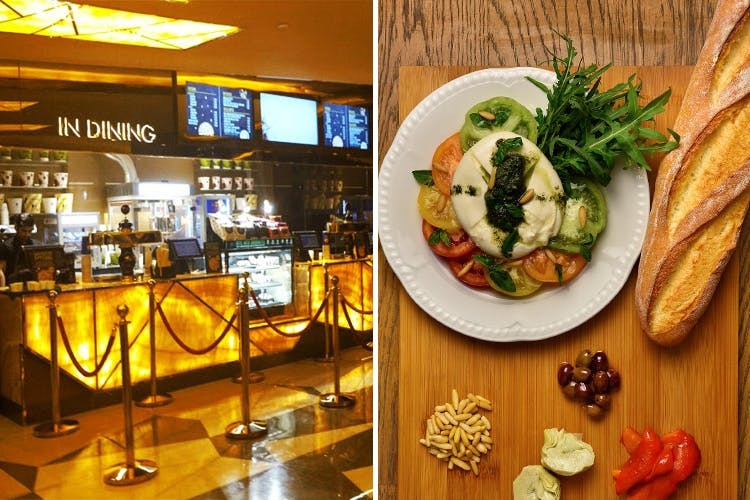 With so many healthy options at restaurants and cafes around town, there’s no reason for theatres to stay behind and keeping that in mind, PVR Director’s Cut has now launched an organic food menu. Your options on the healthier side will include soups, salads, and high protein grills such as Chilled Gazpacho, Organic Watermelon, Mint & Feta Salad, Organic Burrata & Tomato, Organic Roast Chicken Breast, Organic Braised Lamb Shank and much more. Hopefully, these will help you pass that butter popcorn without shedding a tear. What’s even better? They’re sourcing the ingredients from over 6,000 farmers across country which promotes local produce and gives back to the community. Good deeds FTW! Who are you going for a movie with?